TRAIN STATION LJUBLJANA, TRAIN TRANSPORT LJUBLJANA, SLOVENIA; Slovenske Železnice provide the inland and international transport of passengers and offers many attractive possibilities for private and official journeys by train. 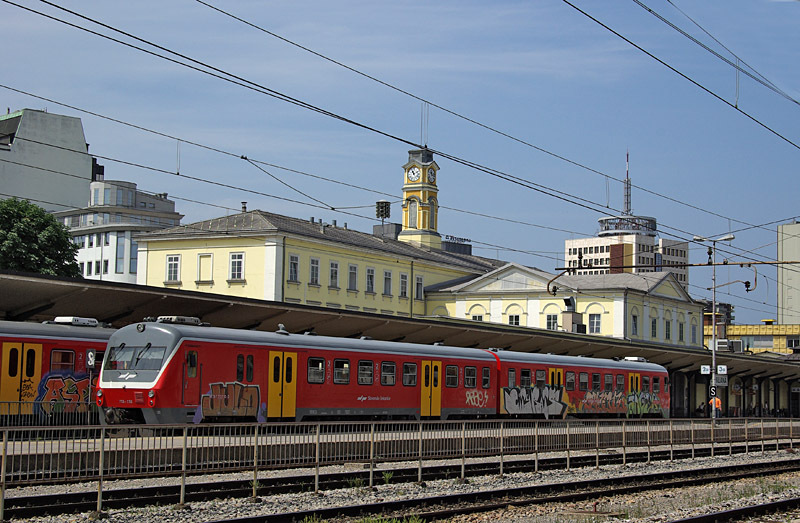 By calling 090 93 9801 you will receive updated information on train departures from Ljubljana. Updated train travel information is also available on teletext pages 184 to189. WAP presentation of Slovenian Railways can be viewed on wap.slo-zeleznice.si, also accessible via Mobitel WAP Planet/Vesolje.